It is almost universally accepted that requirements documents for new or enhanced IT systems by business analysts should include a ‘data model’ to represent the information that has to be handled by the system. 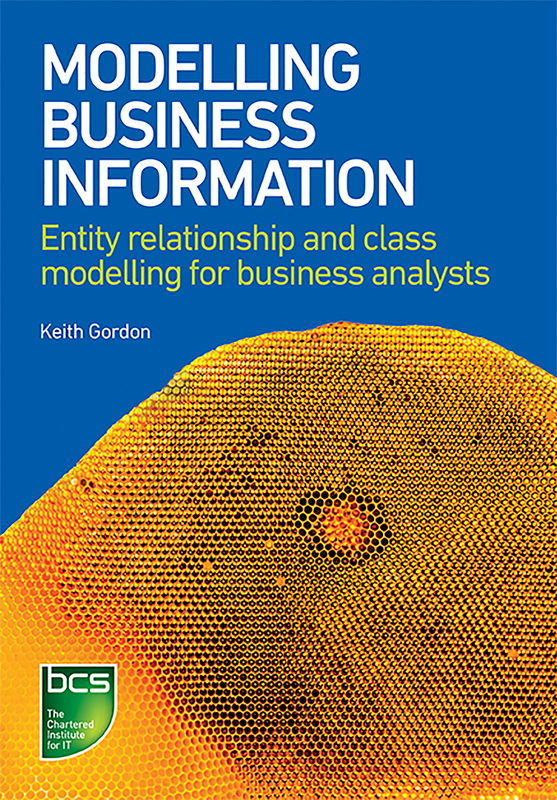 Starting from first principles, this book will help business analysts to develop the skills required to construct data models through comprehensive coverage of entity relationship and class modelling, in line with the BCS Data Analysis syllabus. In addition to covering the topics in the syllabus, the book also includes extra information of interest including data model quality and taking a requirement model into database design. Keith Gordon is an independent consultant and lecturer specialising in data management and business analysis. He has spent over 50 years in technical, education and training environments as an engineer, computer consultant, data manager, business analyst, education and training manager.